United Arab Emirates – The leaders of the United Arab Emirates have setup a technical working group that is expected to conduct assessment and to conclude final arrangements for an immediate direct invest in the country. The technical working group would be comprised of civil engineers, agriculture experts and other technocrats, who are expected in Liberia early April, 2019. According to a dispatch from the UAE, the decision was reached following a visit by President George Weah to the UAE, in an effort to explore all avenues available to implement his government’s ‘Pro-poor Agenda for Prosperity and Development’ (PADP). In the UAE, President Weah met with Crown Prince Abu Dhabi and Deputy Supreme Commander of the UAE Armed Forces, His Highness Sheikh Mohammed bin Zayed Al Nahyan. The UAE Crown Prince lauded President Weah for the visit and expressed hope that it would strengthen the ties between both nations as well as open up new avenues for bilateral cooperation with mutual interests. UAE Crown Prince Dhabi’s assurances were reiterated by his Minister of State, who added that the government and people of the Emirates take special delight in helping President Weah achieves his development dream for his country. “I will work with you to achieve whatever you want to be your legacy as development in your country. Your country is very important to us; we shall help you achieve your national agenda,” the UAE Minister of State told Pres. Weah and delegation. 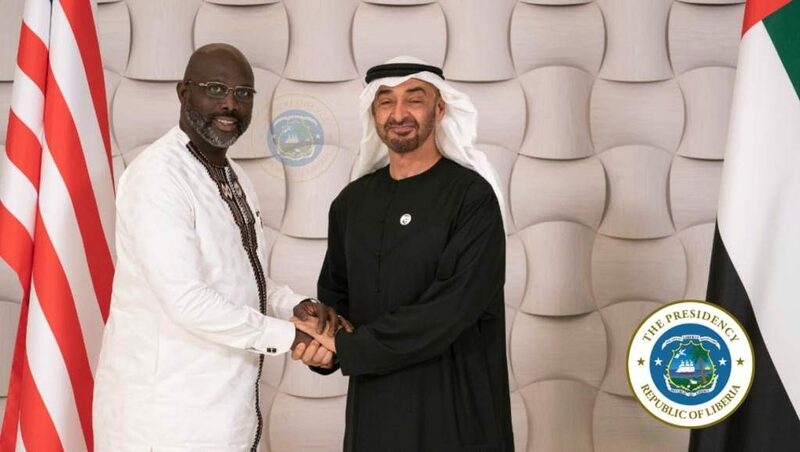 The dispatch furthers that during the meeting, with the UAE officials, which centered on issues of bilateral and direct investment to Liberia, President Weah briefed his UAE hosts about his vision to transform Liberia. In their interactions with President Weah and delegation, the hosts promised to help him transform Africa’s oldest independent republic. At the same time, the UAE officials described the Liberian leader’s visit as a homecoming to Abu Dhabi where he (Weah) lived and played soccer for three years. President Weah and entourage arrived in the UAE capital city of Abu Dhabi on Tuesday, March 19, 2019 to colorful and exciting reception. The Executive Mansion’s dispatch disclosed that the President’s visit yielded fruitful results as the government and private investors in the Middle-eastern State, unveiled enormous development interests in various sectors of Liberia. President Weah told his hosts that road connectivity, including a coastal highway, agriculture, the revamping of the Liberia Electricity Corporation, renewable energy, health and education are top priorities of his administration’s first term. 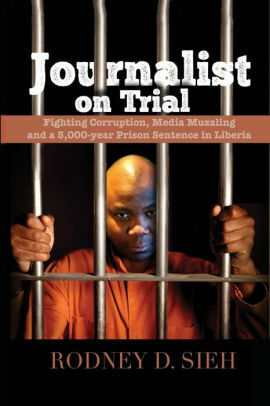 “I can’t serve as President of Liberia and leave my country undeveloped. My government has a framework for national development; it is called the ‘Pro-poor Agenda for Prosperity and Development. This plan is aimed at lifting my people out of poverty and making life worth living for all,” the Liberian leader said. President Weah’s meeting with the Crown Prince was also followed by a reception meeting with the UAE’s Minister of State, Director General and Chief Executive Officer of Abu Dhabi National Oil Company (ADNOC) and Prominent Advocate of Alternative Energy, Sultan Ahmed Al Jaber. The President was accompanied on the trip by Bomi County District One Representative Edwin Melvin Snowe, Foreign Affairs Minister M. Gbehzohngar Findley, Information Minister Lenn Eugene Nagbe, Deputy Minister of State for Presidential Affairs Trokon Kpui and Defense Minister Daniel Dee Ziankahn.